Is honesty always the best policy at work? And what does honesty really mean in the workplace? Does honesty mean that you always do the best job that you can for your employer? Does it mean speaking out when you suspect wrongdoing, or to prevent a calamitous mistake? Or does it just mean replacing the photocopy paper that you “borrowed” when your home printer ran out? 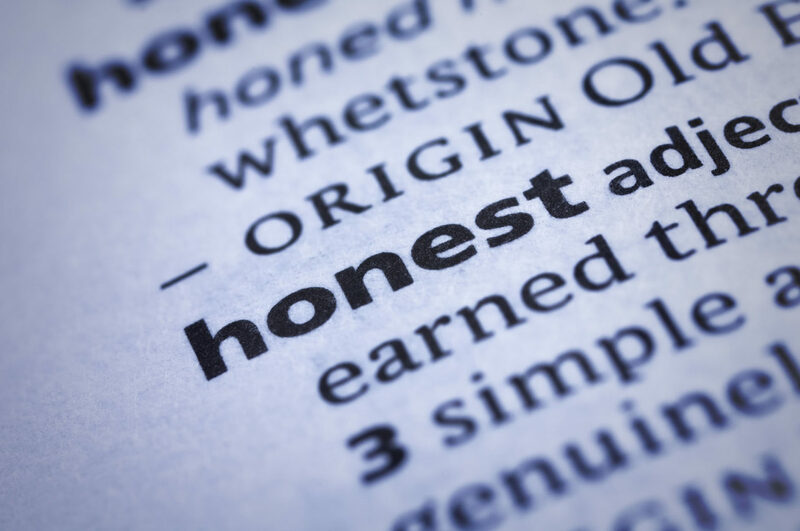 For me, honesty means ’fessing up when I’ve made a mistake, not sugarcoating difficult conversations, and being true to myself even when the consequences can be professionally or personally… disadvantageous. We wanted to hear about your experiences, and your tips and advice about being honest at work, so we asked our friends and followers on social media: How honest should you be at work? We were keen to know if you “tell it how it is,” or if you think some things are better left unsaid. And you didn’t disappoint! Interestingly, our responses showed that both being honest and keeping quiet can end badly! On LinkedIn, careers adviser Marcus Burton said that experience had finally taught him one vital lesson: before you act, sleep on it! Talent development manager Ilídia Alexandre de Sousa, from Angola, also highlighted the role of emotional intelligence. She said, “Honesty must always be combined with the ability to know what to say, when to say it, how to say it, and who we will say it to. “Emotional intelligence plays a great part here, because one must use a language which is adequate to the person being talked to, in an honest way. For example, choose your words carefully when talking to someone who doesn’t accept being corrected. What have been your experiences of being honest at work? Let us know, below. Agree, every bit of dig-in responses…Honestly – Honest is like a needle at both end, sometimes it accepted by grace & at some times it backfires – to me being honest at all times is best policy without anticipation of end results/actions of person who is assessing the situation..
Katlla, thanks for sharing your thoughts and I never thought about it like a needle at both ends, yet so appropriate! You make a very important point here about the person receiving the feedback; they may accept it or reject it. Yet, if our intention is for doing good, then that is all that we could ask for.